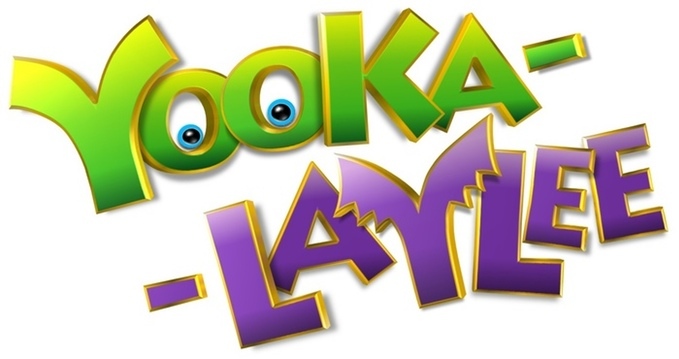 He’s also started composing work on Playtonic Games’ entry, Yooka-Laylee, which is being designed by a team of ex-Rare employees, wanting to bring a series similar to Banjo Kazooie, to the audience of 2015. It’s being funded on Kickstarter, and with seven days to go before it ends, it’s already raised over £2.5 million in funding in only five weeks. In the midsts of creating this, he’s been able to spare some time to answer some questions from me. Daryl: How did your career start in composing ? It was completely by accident, I just wanted to be a guitar player in a metal band, being a composer never entered my head. Was composing a career you always saw yourself doing? It was never something I saw myself doing. How did you find yourself working at Rare? One of my good friends that I played in rock bands with in my local area was a keyboard player, Robin Beanland. He applied for a job at Rare and got it! After a while of him being there he suggested that maybe I should get myself off of unemployment benefit and try to do what he was doing. He told me what equipment I needed to buy so I did that and made a start at trying to write some music that I thought would be appropriate for video games. I sent five cassette tapes to Rare over the course of a year and never got a reply. Then out of the blue I got a letter asking me to attend and interview. To my surprise I got the job! It was truly magical. Everyone there was so talented and just made great things. Tim and Chris Stamper worked really closely with all the teams and were always pushing us to do better, I really think those two were very inspirational to everyone that worked there. 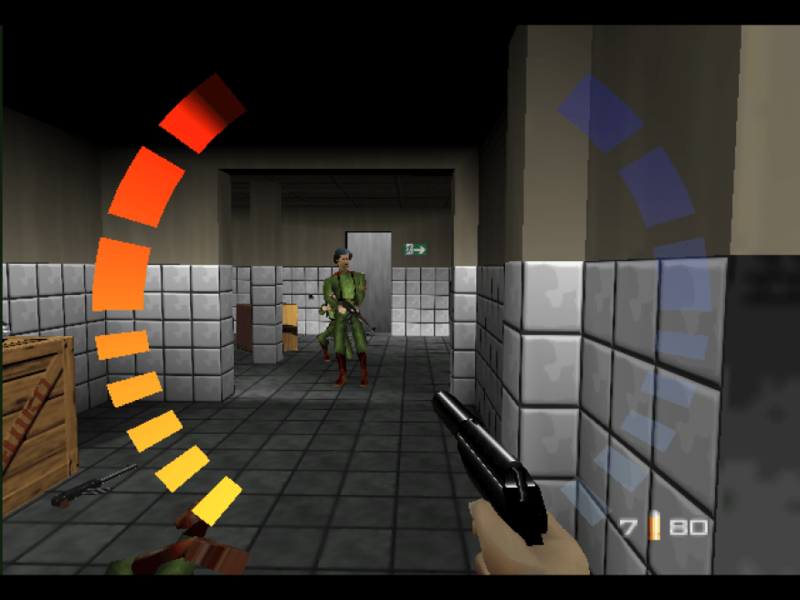 How did the task to work on GoldenEye come about so soon after you started at Rare? Graeme Norgate was working on Blast Corp and GoldenEye at the same time and asked me if I’d like to take over GoldenEye whilst he concentrated on Blast Corps, I bit his hand off of course!!! given, or any areas you couldn’t replicate? I didn’t get to visit the sets for GoldenEye as the project had already started and the team had already been by the time I started at Rare. I did get to visit the sets for the next Bond movie though (The World is not Enough?) as Eon wanted us to do the next game too. We had pretty much a free rein with any elements from GoldenEye, I don’t remember being told to avoid anything. How many times would you perfect a tune until you’d be happy with it? Actually I’m not very good at that. I tend to stick with my first idea most of the time as if I go back to something too many times I usually make it worse! Reading here that a hundred and seven compositions for Dream were made, and some have made it into Banjo Kazooie and Viva Piñata since. 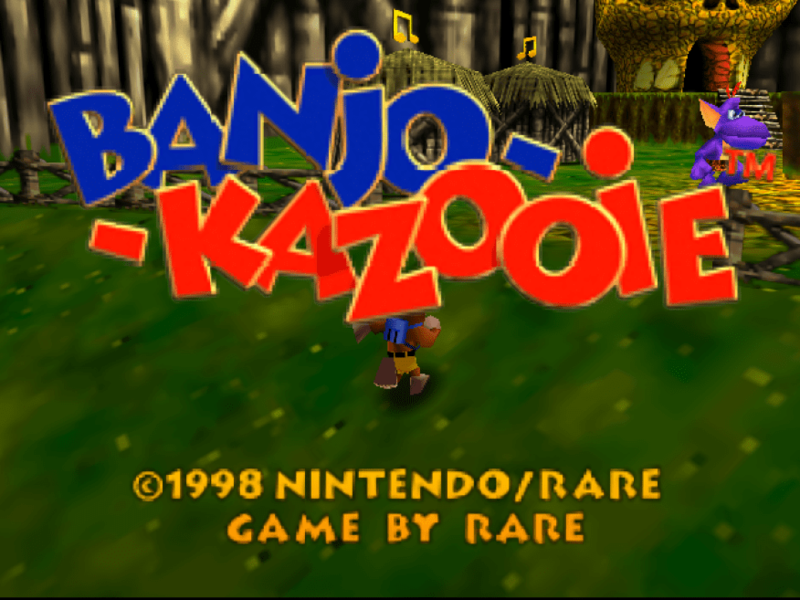 How far did Dream come to being made into a playable state before Banjo? It was in a playable state really. We had a really funny intro movie that we had running on an N64 cart to preview the gameplay. We had the main character running around a level and a chase sequence plus some other gameplay too. music completely change over time with the project until it became Nuts N Bolts? Not really. I didn’t start writing music for it proper until it had being going for a while as I was finishing off Viva Piñata: Trouble in Paradise. I think I might have written a couple of tunes in its early days but that’s about it. as it is, or be tempted to work with an orchestra for example in a complete remake? Hmmm …. I’d want to make the music sound better by using modern synths and not be restricted by memory size like I was back then. It would be nice to use real instruments instead of samples for the strings, brass and percussion but I don’t think I’d change any of the notes or arrangements. to Donkey Kong Land 2? It was a little bit similar in the respect that I included references back to the original soundtrack, but with DKC2 it was a straight conversion of the music that Dave Wise had written note for note. I loved writing music for Mickey, I was working with an old friend of mine, Jeremy Taylor , who was the audio director at SEGA Australia, so we had great fun working out what the music needed to do. 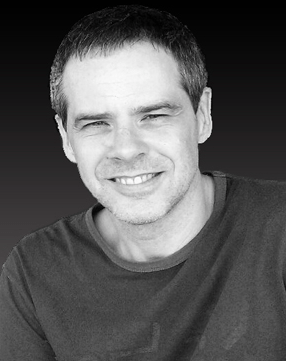 be recognised for its talent in the games industry, such as yourself and Nathan McCree. I definitely do! There’s tons of really talented people in the UK games industry. though your mind when it launched and then met its goal in only under an hour? I just couldn’t believe it! I think we all thought that we’d probably get funded, but maybe it would take a couple of weeks or so. There’s no way any of us anticipated how mad it’s gone! goal has already been reached and its currently at $2.7 million? I love writing epic boss music. When I was scoring Kingdoms of Amalur: Reckoning, I really tried to write some exciting music so I’m going to be trying to write more of that hopefully! As the game is still in its early stages I don’t know what bosses there are yet so I’ll have to let you know!! Not yet, although I think I’ll be able to play one very soon! much bigger way, with regards to the musical themes and looks? When I wrote that piece I really wanted to capture that Banjo-Kazooie feel so I kind of compressed every Banjo-Kazooie-ism into 2 minutes of music! I think I’ll be looking over my shoulder to the music of the past games but also looking forward to introduce some new elements into the music. After all, we’re not making a retro game, this is a brand new game but in the style of the older games … if that makes any sense. Does it feel like coming home in a sense with Playtonic? That is by far the most amazing thing to me! I really can’t believe that people still talk about that music and still listen to it despite the actual audio quality not being that great! I don’t think any composer sits down to write some music and imagines it lasting for any amount of time at all ………. At least I don’t … heh! For it to still be around after all these years is incredible! My thanks to Grant for taking the time out of his busy schedule. He can be reached at his site and Twitter below. Again if you haven’t done already, Yooka-Laylee’s Kickstarter can be found here. Even though the goal has been reached, it always helps to be involved in some way towards a game you know will result in a good experience in an age of pay-to-win and remastered games.